The new year is getting off to a 'poptastic' start at Birmingham's Genting Arena with superstar acts performing during January and February, 2018. First up, on January 14, are 'emo' favourites Paramore. 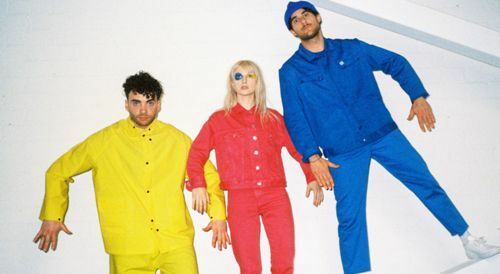 Now slimmed down to a trio - vocalist Hayley Williams, guitarist Taylor York and drummer Zac Farro - the band's tour is to promote their latest album, After Laughter. They have had a run of critically acclaimed albums and singles since forming in Nashville in 2004. Debut, All We Know Is Falling, went gold, then 2007's Riot! was certified double platinum. 2009's platinum-certified Brand New Eyes featured the Grammy Award-nominated The Only Exception, while 2013's Paramore topped both the UK and US charts. Lady Gaga's rescheduled Joanne world tour reaches Birmingham Genting Arena on February 1. Originally due to take place last October, the dates were postponed due to illness. Named after the title of Lady Gaga's latest album, the Joanne tour also includes show at Arena Birmingham on January 31. Lady Gaga has amassed 30 million global album sales and 150 million single sales, making her one of the best-selling musicians of all time. She boasts over 61 million likes on Facebook, over 65.1 million followers on Twitter and over 21.3 million followers on Instagram. Joanne, the album, debuted at number one on the Billboard Top 200, marking Lady Gaga's consecutive chart-topping album, the first female to do so in the 2010s. Seven-time Grammy-winning hip-hop man Kendrick Lamar visits the Genting Arena on February 9. The tour, which includes 15 dates across 11 different countries, follows the release of Kendrick's fourth album, DAMN. It debuted at number one on the Billboard 200 – marking his third time at the top spot – selling over 603,000 album units and amassing over 340 million streams. 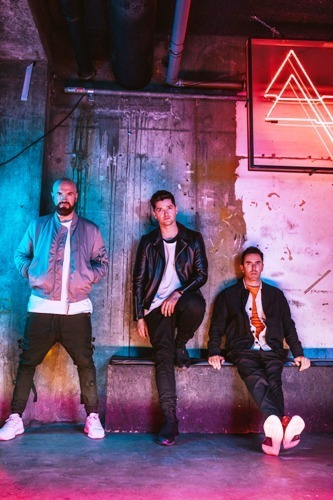 Irish three-piece The Script arrive at the Genting Arena on February 15, on the back of their fourth chart-topping album, Freedom Child. The Script - guitarist and vocalist Danny O'Donoghue, guitarist and vocalist Mark Sheehan and drummer Glen Power - are one of the world's most successful bands, selling over 29 million records. The trio also has a huge following in the USA and worldwide they have sold over 1.4 million tickets across 203 headline shows. Imagine Dragons bring their Evolve world tour to Birmingham on February 24. 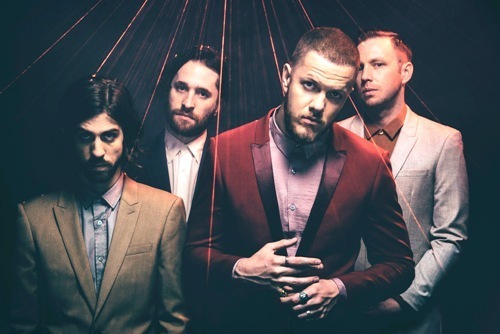 Formed in 2009 and featuring lead vocalist Dan Reynolds, guitarist Wayne Sermon, bassist Ben McKee and drummer Daniel Platzman, Imagine Dragons released their debut album, Night Visions, in 2012, selling over five million copies worldwide. Follow-up, Smoke plus Mirrors, debuted at number one in the UK and went on to go gold, selling over 170,000 albums. Third studio album, Evolve, attained global success on its release in June 2017, with the highest ever first week streams for an alternative rock band. 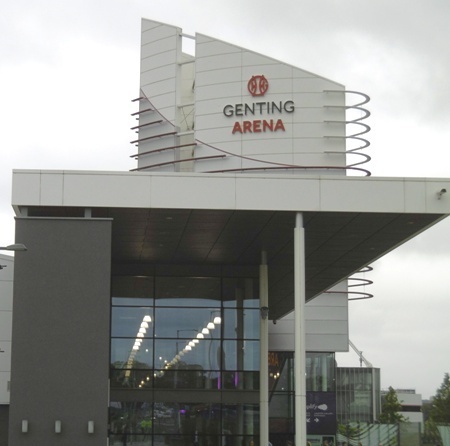 Perennial favourite X Factor Live takes the Sunday matinee slot at the Genting Arena on February 25. The show's six semi-final acts - Rak-Su, Grace Davies, Kevin Davy White, Lloyd Macey, The Cutkelvins and Matt Linnen - will star in the 2018 tour, alongside Sean and Conor who won the wild card vote. Rak-Su are the first ever X Factor act to have had two number one singles on iTunes whilst being on the show. Grace Davies won the Prize Fight in Week 1 with her original song, Too Young. The track also became the first song of this series to top the UK iTunes chart. Kevin Davy White won the weekend vote in Week 2 with his rendition of Santana's Smooth. Lloyd Macey topped the weekend vote in Week 3 with his version of George Michael's A Different Corner. As a result, he won the right to open for chart-topping superstars Little Mix on their arena tour in Manchester. The Cutkelvins' original song, Saved Me From Myself, was one of the stand-out performances on Week 4 and Matt Linnen impressed the judges and audience with his take on Alicia Key's Falling. 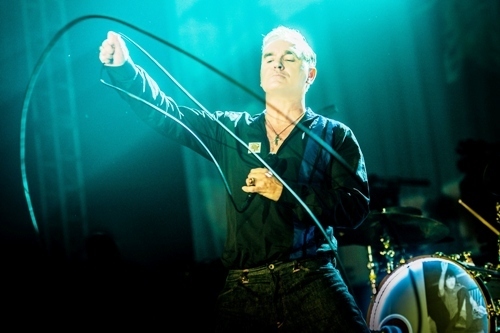 Former Smiths' frontman Morrissey takes to the Genting stage on February 27, giving fans the chance to hear tracks from his latest album, Low In High School. It's Morrissey's first studio album since 2014 and his debut for BMG. After The Smiths, the singer forged a successful career as a solo artist, with all ten of his solo efforts landing in the Top 10 on the UK album charts, including three entries at number one. Following his debut solo album, Viva Hate, in 1988, he released a number of critically acclaimed albums, including Kill Uncle and Your Arsenal, and the hugely successful comeback album You Are the Quarry after a five year hiatus in 2004.